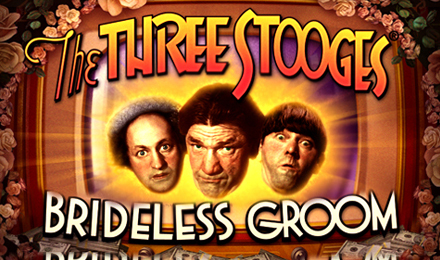 Laugh your way to the bank with this side splitting The Three Stooges slot game! This game has 5 funny reels, Wild symbols and Free Spins, and 3 Scatter Bonus Features! Laugh your way to the bank with this side splitting The Three Stooges slot game! This game has 5 funny reels, Wild symbols and Free Spins, and 3 Scatter Bonus Features. With classic Stooges symbols including Moe, Curly, and Larry, among other recognizable icons, this game delivers a pie in the face of big winnings. Scatter symbols make winning combinations to reveal movie clips, and you’ll be transported back to that era with fabulous dancing graphics and music! The Stooges’ goofy antics will win you loads of cash if you can keep up with their hilarious hijinks!